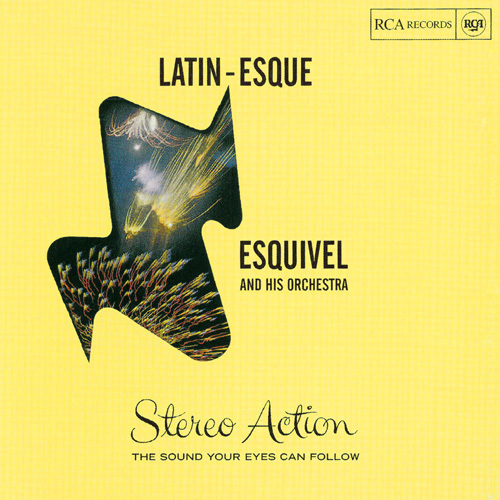 Above is the great looking and sounding album Latin-esque by Esquivel. The album is made of heavy Ai? ?cardboard with a die-cut on the front, revealing the inner-sleave photograph of fireworks. Below is another great album from my collection, Strings Aflame. I like the photo-collage and fonts. Very 60s.